Raymond Carver called Anton Chekhov 'the greatest short story writer who has ever lived.' This unequivocal verdict on Chekhov's genius has been echoed many times by writers as diverse as Katherine Mansfield, Somerset Maugham, John Cheever and Tobias Wolf. While his popularity as a playwright has sometimes overshadowed his achievements in prose, the importance of Chekhov's stories is now recognized by readers as well as by fellow authors. Their themes--alienation, the absurdity and tragedy of human existence--have as much relevance today as when they were written, and these superb new translations capture their modernist spirit. 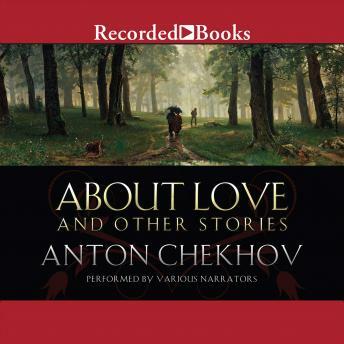 Elusive and subtle, spare and unadorned, the stories in this selection are among Chekhov's most poignant and lyrical. The book includes well-known pieces such as 'The Lady with the Little Dog,' as well as less familiar work like 'Gusev,' inspired by Chekhov's travels in the Far East, and 'Rothschild's Violin,' a haunting and darkly humorous tale about death and loss. The stories are arranged chronologically to show the evolution of Chekhov's art.